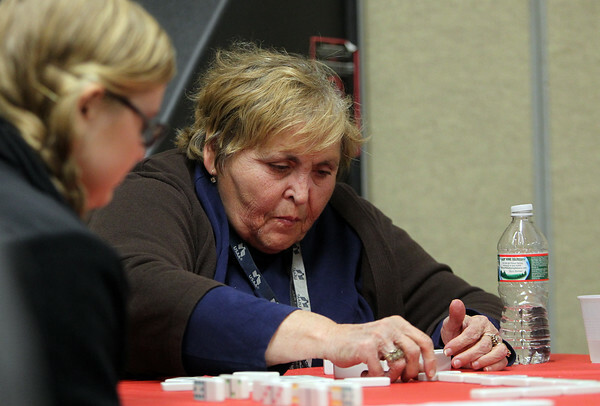 Vinnie Cavanaugh, of Beverly, carefully places a domino on the board at the Beverly Senior Center on Board Game Night. DAVID LE/Staff Photo. 11/20/14.